Volleyball Development Camps ran its first event in 2005, a week-long day camp for two dozen local athletes ranging from beginners to teens who practiced with their parent’s club. Two years later there were more camps, for introducing the sport to first-timers, for adolescents who needed help learning to handle the volleyball, and for teen-agers who were beginning to play year round at higher levels. Today there are seven levels of training in the VbDC curriculum, along with one-day workshops for positional players, programmes to help mature recreational players enjoy the game more, English language tuition for athletes from abroad, and outreach activities for schools and leisure centres. A VbDC event takes place every month. Young athletes aged 8 to 22 participate in training tailored to a particular level of ability. Aspects of the game covering players’ technical form and game tactics are introduced from early ages. Guest speakers discuss the game during lunch breaks, professional and national teams have joined the training sessions, and sports science specialists analyse individual performance. Many athletes return year after year and progress through the range of camps. Some have become friends in whom VbDC has taken an active involvement in helping them chart their sports future. Activities have grown off court, too, with VbDC assisting athletes in their search for scholarships to US and Canadian universities, organizing courses for the qualification of game officials, and sponsoring local clubs. A sister company, Top Flight Volley, retails training equipment, balls, shoes, accessories and clothing. But the founding guideline on which VbDC was founded has not changed over time: Assemble highly qualified coaches in the best facilities available and create a course of instruction that will help disciplined, dedicated volleyball athletes take their performance to a higher level. Welcome to the VbDC website. Please explore it and read about our approach to volleyball training, how we structure our camps and when various programs are scheduled, who we are and the support services we offer, and the latest developments in the lives of VbDC athletes of note. You’ll quickly see how VbDC has become not only a good training programme, but a community of volleyball enthusiasts. 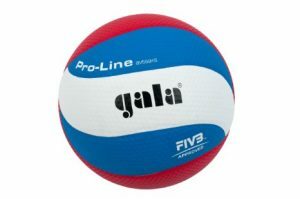 The only European manufacturer of FIVB approved match balls, Gala’s Pro-Line BV5591S has just been re-certified by the global governing body, and thus is eligible for use in Volleyball England sanctioned matches. 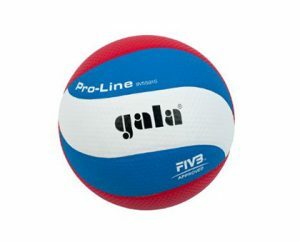 Like a certain condiment, match balls are one of those things volleyball players either love or hate, and more are beginning to have a particular fondness for the Pro-Line. Find out if it is the right ball for your club with our limited offer of a four pack of these balls plus a carrier bag, for £150 (excluding p&p). 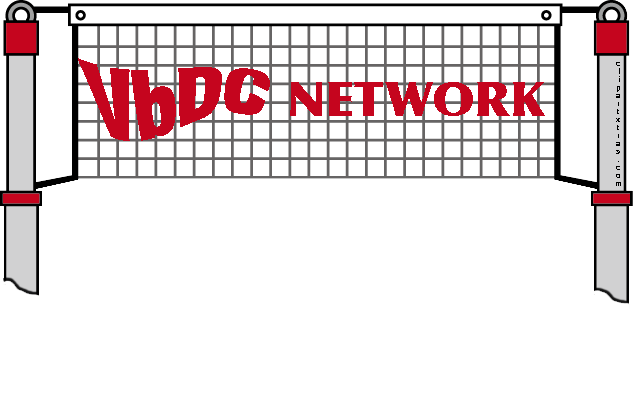 Before we decided to offer a setting target we looked at a half dozen designs. The Park & Sun Spectrum Precision Trainer struck us as the one to offer. Its sturdy construction and no-frills, no-gimmicks design is what sold us. You can get fancier kit, but you can’t get better value. £235 (excluding p&p). Emerging Elite is VbDC’s entry level Performance camp, with a curriculum designed for athletes who have been training and playing competitive volleyball seasonally for three or four years, or year round for at least two years. Athletes will have sufficiently competent ball-handling skills to enable them to participate in team drills that simulate game situations. Talented athletes will, at some point in their volleyball career, have to make a choice whether or not to play at the elite level. It can be a life-changing decision, since the move to elite sport involves not just an increase in on-court training, but affects almost every aspect of their life: mental discipline, diet, off-court physical conditioning and regular long-distance travel are just some. The most physically demanding of all VbDC camps, Pre-Elite is designed for athletes whose coaches have identified them as being capable of elite performance, but who have yet to experience the elite training regime. 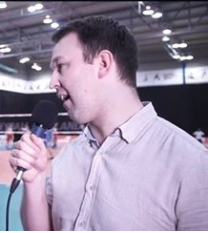 The flagship VbDC event, the Elite Camp is designed to help refine the skills –both mental and physical – which committed elite players have been acquiring through their participation in the highest level of volleyball. It is is a limited enrolment camp to which athletes must apply to determine their eligibility. Enrolment is restricted to 24 athletes who submit videos, coach recommendations and an essay with their application. Most athletes are members of their national team, but those who play for a university or in the top division of their national league may also be considered. The weekend Pathways Camp is designed for the new volleyball player who, having had an introduction to the game, has decided to participate in a competitive school or club programme. The curriculum features drills to develop each of the basic actions required to play the three-touch game: the dig, set and spike, and the action that initiates a rally, the serve. This is the first VbDC camp in which the athlete will be expected to exhibit self-discipline and communication with the coach. A transitional camp with a curriculum designed to take the athlete from individual ball-handling drills into team-based game simulation drills. Skillz Plus doubles the hours of training as preparation for the stamina and attention required for the Performance camps. The curriculum includes revision on closed-ended ball-handling skills, but also puts the athlete into open-ended situations where they gain a fuller understanding of how competence in performing individual skills contributes to a successful team effort. Our first camp outside England, VbDC joins forces with the International School of Brussels to conduct an all-skills camp at the ISB campus. From elementary school athlete to high school varsity competitor, VbDC coaches will lead a week-long program that incorporates elements from both the Skills and Performance curricula for a range of abilities. The highest level of the weekend VbDC Skills camps, in which drills are designed to train the individual athlete how to play the ball in its most basic actions: the serve; the underarm pass, or dig; the overhead pass, or set; and the attack, or spike. The curriculum calls for some scrimmaging to emphasize the importance of good ball-handling technique, but most of the camp is devoted to refining the skills needed to effectively move the ball around the court. In Autumn 2018 VbDC intends to convert its First Stepz Camp to an outreach programme in which primary schools, leisure centres, clubs, churches or social groups introduce volleyball to young athletes, usually of (but not limited to) primary school age. Interested organizations can contact VbDC to set up a session, and VbDC will provide the coaches and equipment for a four-hour session at a venue chosen by the host organization. Those young athletes who enjoy their introduction to volleyball via First Stepz will then be able to sign up for the Next Stepz Camp, a half-day course that introduces the athlete to the fundamental rules of volleyball, and initiates drills to teach the basic ball-handling techniques. A little game-time fun rounds out the day to encourage use of the newly acquired skills. 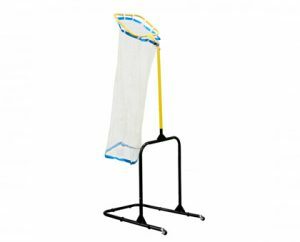 In conjunction with our sister company TopFlight Volley Ltd, we are able to offer a range of volleyball kit and equipment. We have some special package deals which are unavailable anywhere else and are detailed below. Our first camp outside England, VbDC joins forces with the International School of Brussels to conduct an all-skills camp at the ISB campus. From elementary school athlete to high school varsity competitor, VbDC coaches will lead a week-long program that incorporates elements from both the Skills and Performance curricula for a range of ability.